^ Williams SM, McNamara JO, Lamantia A, Katz LC, Fitzpatrick D, Augustine GJ, Purves D (2001). Purves D, Augustine GJ, Fitzpatrick D, et al. (eds.). 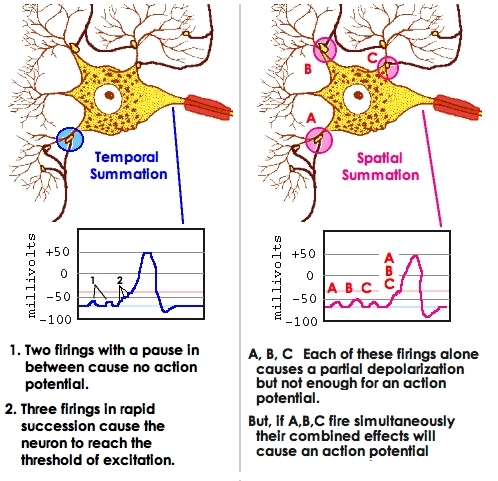 Summation of Synaptic Potentials. Neuroscience (2nd ed.). Sunderland (MA): Sinauer Associates.